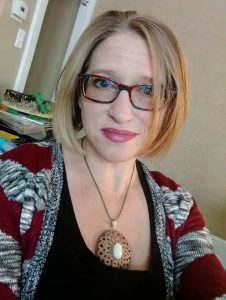 I am a Mind-Body Wellness Practitioner and Growth and Empowerment Speaker in Dallastown, PA. Born and raised in Baltimore, MD, I spent time living in multiple cities across the country as an Executive Chef and Pastry Cook before venturing into a holistic path and settling down here with my husband, two children, and dog about 8 years ago. I enjoy writing, socializing, healthy cooking, exploring nature, Qigong and meditation, and any kind of creative pursuit! I am passionate about empowering people to embrace themselves and step into a fuller expression bringing more joy and fulfillment to their everyday lives! I have loved books for as long as I can remember and attempted to write my first book when I was five, which no one but me could read because of the nature of the scribbles! I believe that I have learned more from any one book that I have read than from my 19 years of classroom education combined! Books offer an opportunity to expand our way of thinking, to examine our own interpretations and to ponder new and different possibilities. I began writing passionately when I was around 10, but never believed it was within my reach to be published. I have now been published in several anthologies and am working on my first solo book. I am also supporting my 10 year old son in his own writing endeavors. I am hoping he learn from this age that no dream is too big for which to aim. At this point in my life I enjoy historical fiction — fictional stories created around historical events, like The Winds of War, The Things They Carried, or The Great Alone for example. Some of my favorite authors of all time, which oddly are not from this category, are Gabriel Garcia Marquez, Jorge Luis Borges, Manil Suri, F. Scott Fitzgerald, Elie Weisel, Paul Coelho, and Mikhail Bulgakov. Favorite book of all time is Narcissus and Goldman by Hermann Hesse. So many authors and poets inspire me it is impossible to list them all! Ideas and virtues have spread across the ages to support me in becoming who I am. I know that a young and early writer I took a lot of inspiration from Emily Dickinson and Michelangelo. Most recent book is When I Rise, I Thrive a collection of inspiring stories of trials transformed into triumph. I believe that this book offers hope and options for anyone suffering. My personal stories include topics like confidence, depression and mustering the strength to face another day to alcoholism and finding the courage to face what you’re drowning. My son also has a piece in this book about how to remain calm in emergency situations. More insight into embracing the chaos as a growth opportunity and finding the perspective that allows you to thrive is included in the recently published Happy Thoughts Playbook, also from As You Wish Publishing, and in the solo book I am currently working on right now.